Customers are able to browse the show rooms while waiting for there appointment without a member of staff then going to track them down, customers can have a paging system that allows them to be recalled instantly giving customers more freedom and saves staff a lot of time. Our paging systems can be used for your staff or customers with different solutions to each area. Unleash your customers from the waiting room where minutes seem like hours. Our electronic customer survey device will keep you informed about customers experiences and help you make smart decisions concerning service, special offerings and much more. Give customers freedom while waiting for an appointment, customers can browse the cars in the show rooms while they wait for a member of staff. With them aving the Coaster at hand they will be immediately recalled when a member of staff becomes available. Instead of searching high and low for customers that have wondered off staff can press a button and recall them when they are ready. 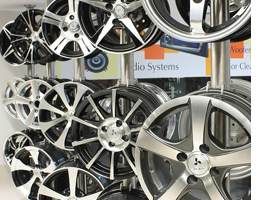 Why tie your customers to a waiting room when they can be browsing the cars you have to offer them! 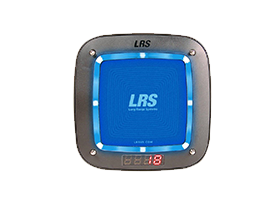 The coaster recall system is a classic design available in Red, Blue, White, Green and multi-coloured, you can even have a custom coaster label for branding, advertising or instructions for your customers to read while they wait. Majority of the time most people wont have an appointment, they just visit the dealership to browse the showroom. Placing a call button by each car gives customers the chance to call a member of staff over to discuss the car in question, this is a great solution because customers will no longer have to run around looking for staff, staff can be called over immediately increasing the chance of sale. Give your customer the perfect service with out call for service call buttons giving customers freedom allowing them to call staff when they want instead of being interrupted or not noticed.